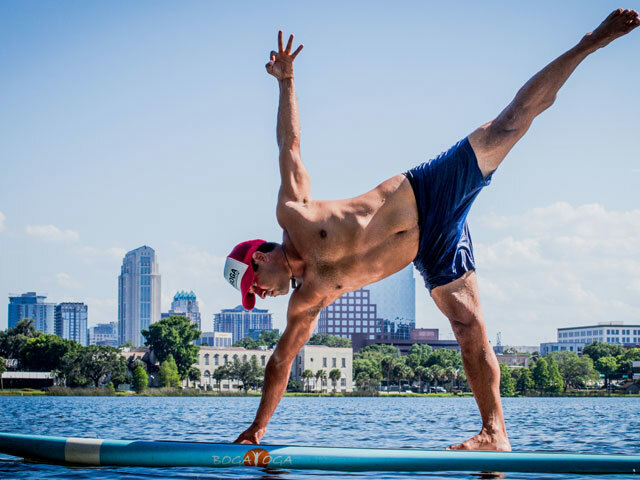 Jose “Yoga Fool” is a Yoga Alliance registered E-RYT200 and H2YO certified Standup Paddleboard (SUP) Yoga Instructor. Yoga Fool trained at H2YO with ACA/WPA instructor Julie Roach and at Guruv Yoga with International Yoga Teacher/Presenter Tymi Howard E-RYT500 (in Orlando FL). He teaches across Florida and the U.S. while remaining enrolled at Guruv Yoga in pursuit of his RYT500. Yoga Fool lives in Miami where he is currently deep in the practice and study of Acro, Budokon, SUP, AcroSUP and Thai Yoga through the Vedic Conservatory. Favorite Yoga Destination: Music festivals. I’ve been fortunate enough to teach at a few music festivals that incorporate yoga and the healing arts into their line-up. I absolutely love the kinds of people you meet there and how they resonate the atmosphere of love and community. Where does Yoga take you: Yoga takes me off my mat. 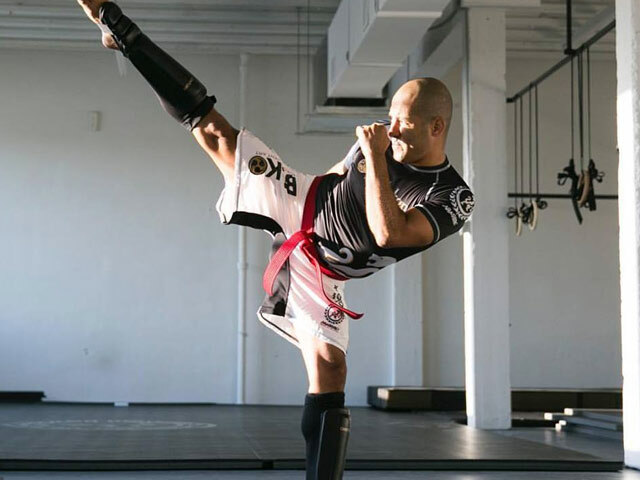 Coming into poses that require intense focus, training, and breath bring me right off of my mat into life situations that require the same disciplines. Balancing my partner in an acrobatic pose on my BOGA board teaches me how to balance my life and find harmony in the craziest situations and conditions. It doesn’t matter how “complicated” the pose is. What matters is how you handle and approach the challenge of that pose. It is a metaphor for how you handle your life. Slow down and breathe; let that be your guide. Favorite activities besides Yoga: My therapeutic Thai bodywork practice has to be my favorite activity outside of my traditional yoga practice. 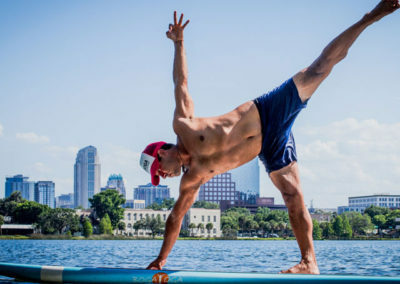 Best thing about SUP Yoga: The best thing about SUP Yoga is that it brings you to square one in your yoga practice all over again. We begin yoga and fall in love and then quickly move into places and spaces that can easily become very routine. There’s nothing like having things totally shaken up by changing the rules of the game to include constant instability and increased challenge. When it comes to balance you really have to feel it from the inside and that’s one of my favorite things about yoga. Feeling; Awareness. Inspirations: The embodiment of feminine energy is inspiring. It would be more accurate to say that The Mother inspires me. Both yin and yang, masculine and feminine, reside in all of us. It’s inspiring to experience true feminine energy and surrender to a vulnerability that isn’t characterized or viewed as weakness. True feminine can teach us about true masculine and this inspires me to become more balanced in myself and relationships overall.